We have access to a large stock of rental equipment specially designed to make temporary hook-ups quickly. Flexible ducts and hose, along with pumps, ready-made power cords, and even generators are available so we can furnish a complete cooling package to cool tent events. Once on the job, it is possible to have the units installed and cooling often within minutes. Building owners rent air conditioning equipment for both planned shut-downs and emergency cooling when existing equipment fails. 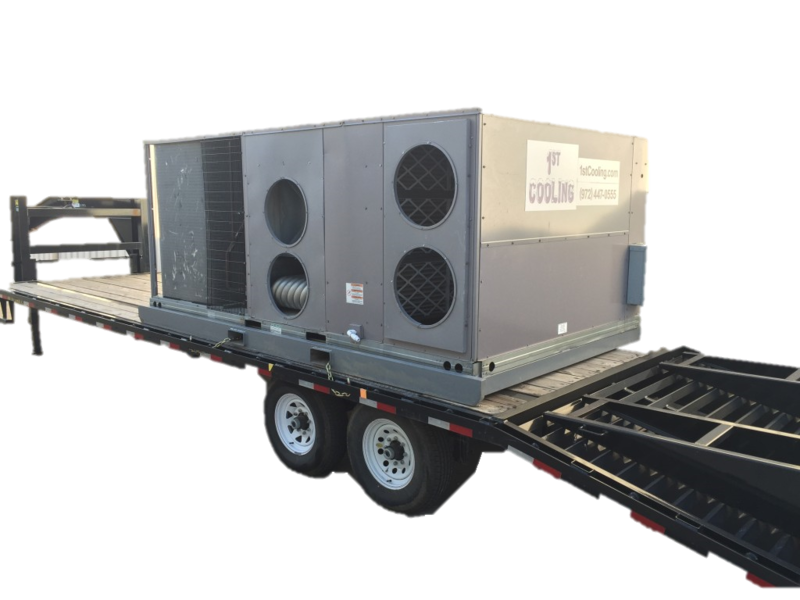 1st Cooling has cooling equipment available ranging from 5 to 1,000 tons in single packages, packaged units from 5 to 75 tons and portable roll around units from 1 to 10 tons. Using multiple units, we can provide cooling up to 2,000 tons. Large office buildings can be cooled while repairs are being made to existing chillers. Tents used for special events such as trade shows or meetings can be cooled and/or heated.